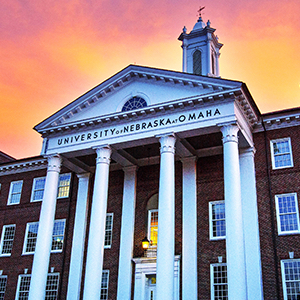 In 2006, the Faculty for Undergraduate Neuroscience founded the National Honor Society in Neuroscience, Nu Rho Psi. Led by Dr. Suzanne Sollars, the UNO Chapter was chartered on January 15, 2013. Membership is open to both graduate and undergraduate students who have an interest in neuroscience, and meet academic qualifications. Benefits of joining this prestigious organization include honor and recognition of academic excellence, networking with like-minded colleagues, possible lab experience, graduate school insight, pre-health advice, volunteer experience, attending special guest lectures from local and national speakers, and much more!